We operate a full appointment system. The current times are always available from the surgery. Make an appointment by phoning 01422 230730, at reception during office hours - 8am - 6pm, Monday to Friday, or online for all available GP appointments. Please do not walk into surgery expecting to be seen without phoning first. Tell the Service Advisor which doctor you would like to see and when. If this is not possible she will suggest alternatives – it can be helpful in these situations to tell the Service Advisors the reason for your appointment request. Please ask to see the same doctor with an ongoing problem. Each appointment slot is for one patient only. Urgent appointments are for one problem only. Make sure we have your correct mobile number on our system. Once you let us know that you're happy for us to contact you this way, we text appointment confirmations and reminders. You can even text us back to cancel your appointment if it's no longer needed. Patients are responsible for keeping their appointments. If you cannot keep any booked appointments, please ring, text or go online to cancel, giving as much notice as possible. We may remove repeated non-attenders from our list of registered patients. Routine appointments will be dealt with according to availability and will be affected by holidays/illness. We do our best to meet reasonable requests and we discuss abuse of our appointment system with patients. Our doctors alone held over 22 000 surgery appointments last year and carried out over 2000 home visits. We have routine appointments available for booking and always keep a number of appointments each day for urgent problems that arise. The demand for appointments however is still high and we do our best to meet patients’ needs. If you need to be chaperoned during your appointment, please let the Service Advisor know at the time of booking your appointment. For more information on Chaperones, please go to Practice Policies. Practice Nurse Janet is trained to assess your condition and deal with minor illness. You may be offered an appointment with her - this leaves our doctors free to deal with complex and ongoing medical problems. It is helpful to tell the Service Advisor about your problem when you need urgent medical attention so you can be given the most appropriate help. When urgent medical advice is needed, ring 01422 230730 giving a clear description of the problem to the Service Advisor so that she can contact the duty doctor. If you think any delay may be dangerous, ring 999 for an ambulance, or if it is less urgent than 999, dial 111 to speak to NHS 111 the current urgent care line. From 4th September 2017 we are able to offer appointments from 6.30pm to 8pm Monday to Friday at Spring Hall Medical Practice (173 Spring Hall Ln, Halifax HX1 4JG). Appointments are also available during weekends and Bank Holidays. Speak to one of our Service Advisors for more details. If you have booked one of these appointments and no longer need it, please contact us during our opening hours to cancel it or alternatively call 01422 893022 from 6.30pm to 8pm Monday to Friday only. If you need to request a home visit because you are housebound or too ill to come to surgery, please ring before 10.30am. Describe your symptoms to the Service Advisor – this allows the doctors and nurses to plan their rounds according to urgency. 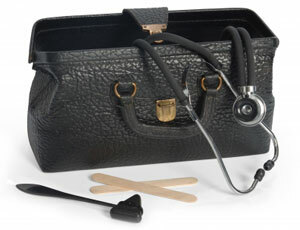 The doctor may ring you first to assess the need for a visit. Remember there are better examination and treatment facilities at the surgery and a home visit takes at least twice as much time for the doctor. Doctors and nurses cannot be interrupted during surgeries and spend time each day out of the building on home visits. 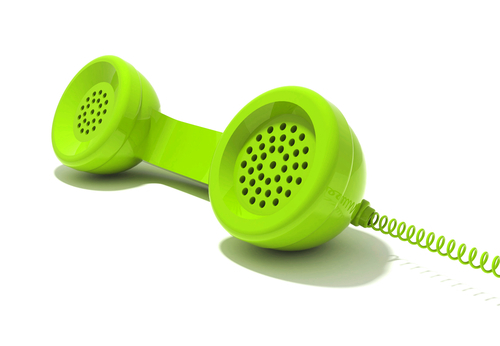 Telephone calls are not a substitute for a consultation. Often the Service Advisor will be able to help you. Otherwise she will ask you to call back for an answer or at a time when a doctor or nurse will able to speak to you. Sometimes minor illnesses can be treated quite safely and effectively at home, with the help of over the counter medicines and treatments from your local pharmacy. Often no actual treatment is needed and you can follow simple advice to make you feel better and treat the symptoms that might be causing you to feel unwell. These conditions are often self limiting - that is they appear, run their course and go away! They do not need medical advice, examination or prescription medicines. If you learn to manage such conditions at home for you and your family, it leaves our doctor appointments available for more serious medical conditions that do need medical intervention. We think it is important for patients to learn how to manage these conditions and we have put together a new advice booklet 'How to manage common illnesses at home' which we hope will give you the confidence to do this. The advice is the same as the doctors and nurses give to patients, it is safe and practical. Remember there are no miracle cures for common ailments and these ailments are normal in our daily lives - our doctors and all our staff suffer in the same way! Click on SELF CARE at the bottom of the page. Of course, if the condition lasts longer or you are seriously unwell, or it is your young child, or elderly family member please ring for further advice. Click on the link to read how to manage minor illnesses at home.